Smartphone addiction has become a serious problem, so much so that Apple has decided to build responsible-use features into their newest operating system update. However, if you really want to cut back on your screen time, there are plenty of ways to do so without shelling out more than $1000 for a new phone. With 2.5 billion smartphone users worldwide and the average user spending five hours per day on their device, it’s fair to say that smartphone usage might be getting out of hand. It’s particularly unsettling when you consider that extended smartphone use has been linked to insomnia, depression, headaches, anxiety, stress, poor eye health, back problems, and a wide range of other ailments. 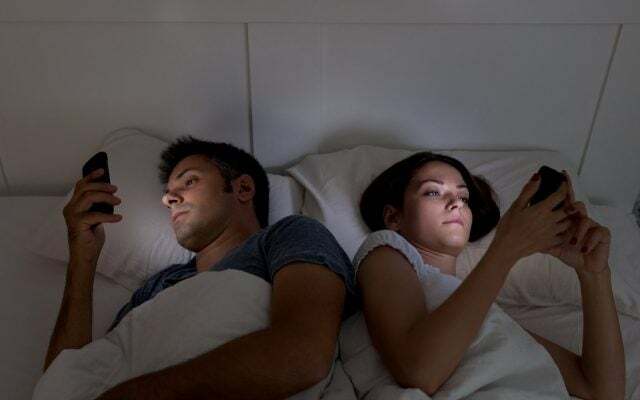 While Apple would have you believe that its fancy new features are the only way to cut back on smartphone use, there are plenty of strategies, adjustments, and apps you can utilize to make sure you stay off your device for long enough to fall asleep at night. The best way to limit your smartphone use is to focus on yourself. After all, relying on your smartphone to help you cut back on smartphone use is kind of like buying a chocolate cake to help you lose weight. Use these personal strategies to limit your phone use, and you’ll be on your way to a healthier life. Using a smartphone first thing in the morning has become painfully commonplace. Most people haven’t even gotten out of bed before finding themselves neck-deep in a Facebook argument, a Twitter thread, or a chain of emails from work. And this habit is perhaps one of the worst signs of smartphone addiction. If you want cut back on smartphone use, you need to get through your morning routine without picking up your device. Wake up, brush your teeth, have breakfast, and then pick up your phone. Otherwise your entire day will be defined by those first screen-filled moments. Having your smartphone in your pocket all day can make it pretty hard to cut back on usage. Fortunately, there are plenty of other phone-shaped locations where you can store your smartphone until you need it. 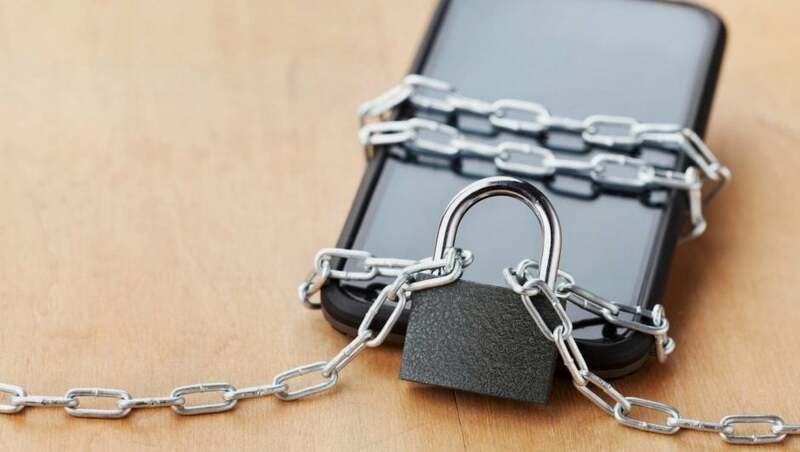 Bags, purses, lockers, drawers, file cabinets, impenetrable safes, and even just slightly out of reach are all great places to put your phone to curb your addiction. Just make sure it’s out of sight so you can’t see those pesky notifications. Kicking a bad habit is hard, particularly when you’re doing it on your own. Luckily, having a good friend can make putting down that smartphone a whole lot easier. When it comes to your smartphone addiction, asking friends to manage your usage is not only an acceptable idea, it’s a downright good one! Whether it’s at meals, social events, or in your living room, simply ask your friends to hold on to your device for you, or even just make them yell at your when you go to check your feed. Utilizing personal strategies to limit phone use is great, but relying on self-control to squelch your smartphone addiction is far from easy. If you really want to make a difference, these smartphone features should make putting your phone down a little bit easier. With notifications from apps like Facebook, Gmail, and Twitter blowing up your phone all day, it’s pretty hard to ignore your smartphone at any given moment. All that vibrating and ringing that notifies you of all the exciting stuff happening on the internet can be pretty distracting. But there is a better way. Disabling notifications is as easy as a few clicks and you’ll be on your way to a less smartphone-filled life. Plus, disabling notifications saves battery, so you’ll have your smartphone for when you really need it. When disabled notifications don’t do the trick, busting out the big guns can keep your phone absolutely silent throughout the day. Do Not Disturb mode, which is found on most modern smartphones, allows you to completely forego any and all notifications that could possibly get through to you. Just turn on Do Not Disturb, and your smartphone temptations will be put to rest. Getting a little outside help on managing your smartphone use is always a good idea. Fortunately, there are dozens of apps out there designed to make sure you don’t use your smartphone too much. This app is all about data. By tracking your smartphone usage, Checky allows you to get a better picture of how often you’re actually using your smartphone from day to day. It even tracks how often you unlock your smartphone, making it a great tool to manage your progress as you get better. This app is a little more hands-on when it comes to managing your smartphone usage. By blocking certain apps for set periods of time, Flipd helps you stay present during your everyday life. Plus, it connects you with other people trying to stay off their phones through “communities,” and everything is easier when you have a friend to do it with. This app takes gamification of smartphone addiction to a new level. Forest asks users to “plant a seed” every time they want to stay off their phone. As long as they don’t leave the app to open Facebook, play a game, or engage in other smartphone activity, the tree will grow. If they do leave the app however, the tree will die. It’s a bit dramatic, particularly if you’re a conservationist. But hey, nipping smartphone addiction in the bud is an important issue that needs fixing.